The days of missing the open-ended file structure of our laptop and desktop PCs may not be exactly coming to an end, but the new Files app for the iPhone and iPad will help quench some of that yearning for the days of yore. One of the biggest complaints about the iOS operating system is the closed nature that doesn't give us access to things like freely installing apps outside of the App Store without jailbreaking the device or a completely open file system. But these restrictions also help make the iPad easier to use and difficult for malware like viruses to gain traction. With the Files app, the veil hiding the file system is being partially lifted in order for us to have a lot greater control over our files. What Exactly Is the Files App in iOS 11? 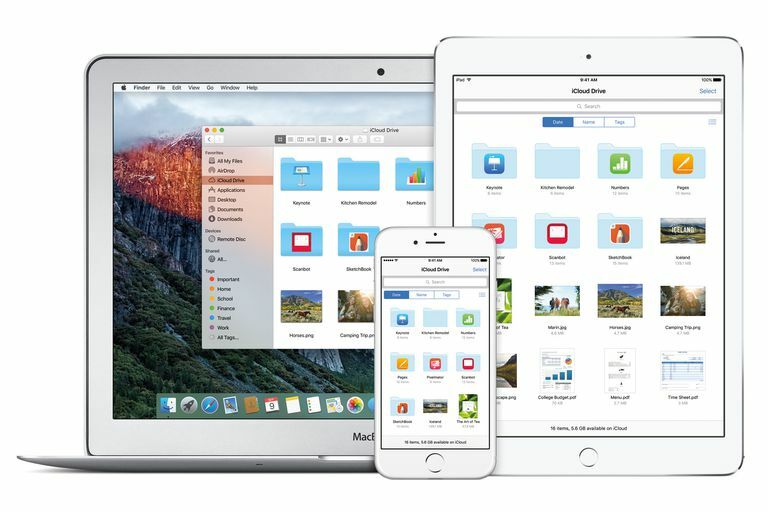 The Files app gives us a one-stop shop for all of our cloud-based storage options like Dropbox, Google Drive and iCloud Drive alongside a subset of documents created by our apps and stored on our iOS devices. Currently, the only way to get at these local files is by plugging your iPhone or iPad into your PC and launching iTunes, but with Files, you can copy these documents to any of your other storage solutions as easy as drag-and-drop. The new drag-and-drop feature in iOS 11 is front and center of how we'll manipulate files on our iPad or iPhone. While it is possible to manually select and move files using buttons on the screen, it is far faster to simply pick them up and move them. First, tap-and-hold on the document you want to move. It will pop out of its place on the screen and a translucent copy will appear under your finger. If you want to move multiple files from the same folder, you can tap each file with a different finger to add them to the 'stack' of files. While still holding the original file down to keep the stack together, use another finger to move to the destination directory. When you have a file or stack of files 'held' with one finger, you can still manipulate the iPhone or iPad as normal. This is easiest to do by using your other hand to navigate the iPad while holding that original finger down to hold the stack of files and documents. When you get to your destination, simply lift your original finger to 'drop' the files in place. Tip: You can actually move the stack of files from one finger to another finger. This is very useful if you started 'picking up' files with the index finger of your right hand but want to move those files to your left hand to free up your original hand. All you need to do is tap any finger next to the finger holding the files and you will see the entire stack move from one finger to the destination finger. You can also move files 'manually' by using buttons on the screen. This requires less finger gymnastics. It is great if you want to quickly move a single file or find the drag-and-drop method to be too cumbersome. Start by putting the app into Select mode by tapping the Select button at the top-right of the screen. In Select mode, a circle appears next to the documents and directories in the current folder. When you tap an item, a check mark appears in the circle to designate that you have it selected. You can move entire folders at once by simply selecting the folder itself. You can delete the files selected by tapping the Delete button at the bottom of the screen. Share the files and folders by tapping the Share button. This brings up a share sheet with all of the options available for the files, including sending them as a text message, email message, posting to Facebook, etc. If you want to move the files to another directory or even another cloud storage source, tap the Move button. This will bring up a menu system allowing you to choose the destination. If the destination is another cloud-based service, tap the name of the current source (iCloud Drive, Dropbox, Etc.) at the top of this menu and choose your destination service. What Are Tags and How Do You Use Them? You can think of tags as an organized way of flagging individual documents or folders for quick access later. The Tags section includes color-coded tags (red, orange, blue, etc.) and a few specialized tags (work, home, important). You can 'tag' a document or an entire folder by using drag-and-drop to drag a file or a stack of files to one of the tags and dropping the stack on the tag. While the feature is new to iOS, tags have existed on the Mac for some time. Tagging a files does not move the file. It may have the same process as moving a file, but a tagged file remains in its original location. If it was tagged with a color, the color will show up next to the file in this destination. You can tap an individual tag to bring up all files and folders with that tag. You can even drag-and-drop from this folder to another tag or move the stack of selected documents and folders to a different location in Files. The true power of the Files app lies in the ability to interact with other apps. When you 'pick up' a stack of documents in Files, you aren't restricted to just dropping that stack into another area of the Files app. You can use multitasking to bring up another app as a destination or simply close the Files app by clicking the Home Button before launching the new app. The only requirements are (1) you keep that original finger 'holding' the stack of files pressed against the display and (2) the destination must be able to accept those files. For example, you can drag an image to the Photos app and drop it into an album, but you cannot drag a Pages document to Photos. The Photos app wouldn't know what to do with the document. The ability to both manipulate files from different sources (iCloud Drive, Local, Dropbox, etc.) and drag documents from Files to different apps adds a ton of flexibility to the iPhone and iPad.